Besides lovely weddings, amazing debut parties also wowed us in 2018. 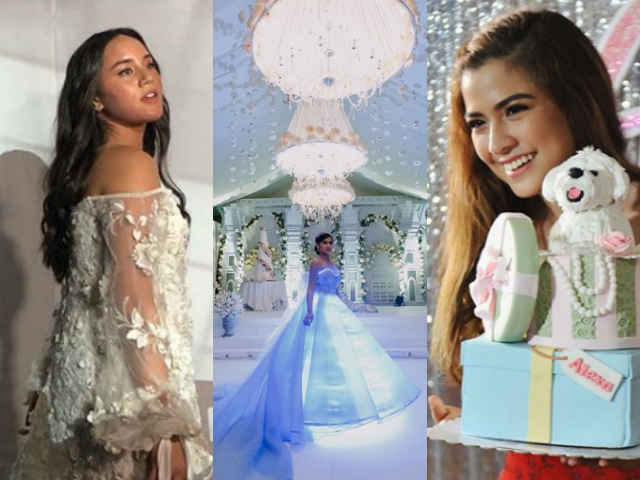 These celebrations showed us that possibilities are endless when it comes to 18th birthday celebrations by having over-the-top themes and even supporting meaningful causes. Instead of having a big celebration, Alexa opted to hold a simple thanksgiving party with neglected and rescued dogs and cats at the Philippine Animal Welfare Society (PAWS) on February 26, 2018. Celebrity Bianca Umali’s debut took place last March 17, 2018. It wowed a lot of netizens and her official hastag #SimplyBianca was even trending on social media. Of course, we won’t forget about the disco-themed debut of Juliana Gomez. It took place at Bench Tower in BGC last September 8, 2018. Just recently, Frankie Pangilinan surprised everyone with her jazz-themed debut. Held at Shangri-la The Fort, the said celebration was star-studded. Do you remember other celebs who had their debut in 2018? Let us know by leaving a comment below!